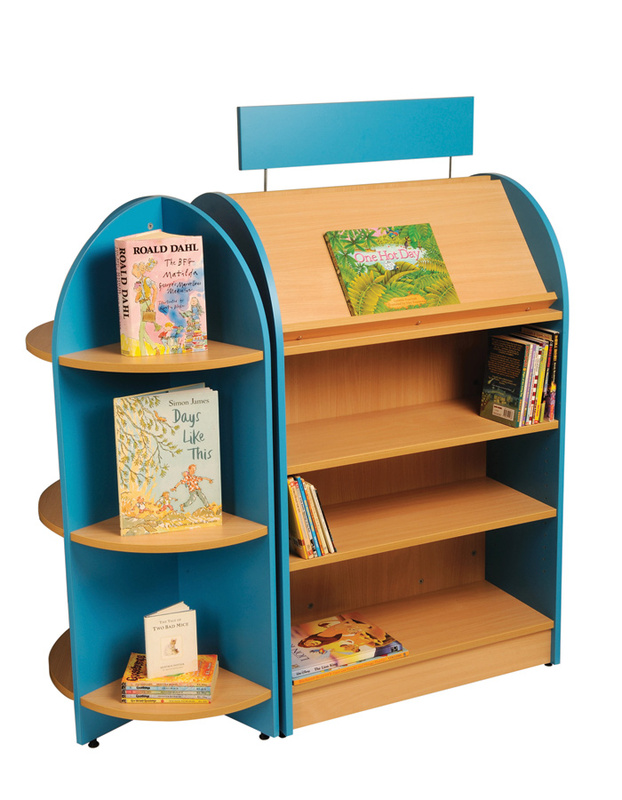 This end book display unit comes in 2 heights - 1200mm and 1500mm - and fits with our Tortuga Double Sided Library Unit. The 1200mm high unit has 6 shelves (3 each side) and 1500mm high unit has 8 shelves (4 each side). It comes in a choice of 11 colours which can be specified for each component, e.g. one colour for shelves and back panel and another colour for end panels - please choose from the drop down menus. 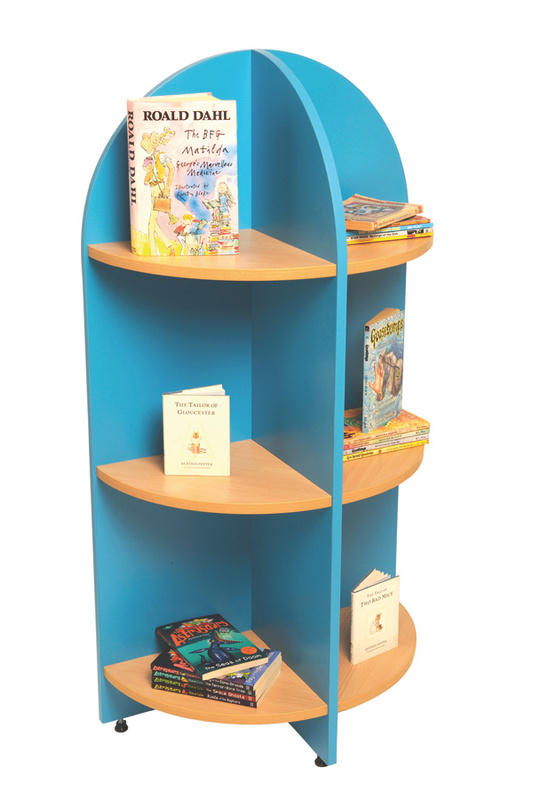 This shelf unit is manufactured from high quality melamine-faced particleboard with 2mm thick PVC edges. Ideal furniture for libraries in schools. See the rest of our Tortuga Shelving System.